As much as Elon Musk and the rest of us may long to live on Mars one day, it's not like we're months or even a couple years away from making that a reality. That isn't stopping NASA from doing its part to ensure we'll be living our best lives there eventually, though. 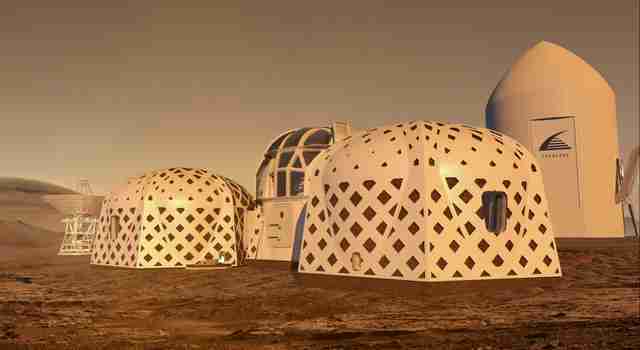 The space agency just announced the top three finalists in its ongoing challenge to design human homes on the Red Planet and beyond. The top three finalists in NASA's multi-phase competition to come up with sustainable human shelters on the moon, Mars, and wherever else we may end up were announced last week, and they provide a compelling glimpse at the types of places folks in the future could one day call home. 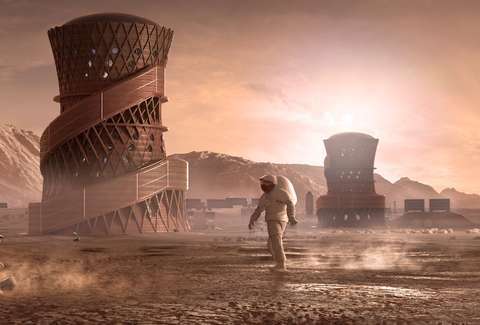 The winners are the latest to compete in the 3D-Printed Habitat Challenge, which first kicked off in 2015 in an effort to get teams to come up with innovative solutions for the design challenges posed by the prospect of interplanetary living. The finalists in this latest phase -- which will split a $100,000 prize -- were tasked with submitting the most ambitious plans to date: to come up with a full-scale rendering using modeling software. Entries were then judged on everything from efficient use of interior space to 3D-printing scalability to the feasibility of construction. In short, they're the ones NASA thinks could be used as ideal models if and when we start packing for other planets. The top choice of the batch is from the team SEArch+/Apis Cor, which came up with a corkscrew-like structure that provides "continuous reinforcement" and lets in light from a series of small holes. The runner-up, from team Zopherus, earned points for its ability to be constructed by an autonomous roving printer that builds, then moves on the next site. 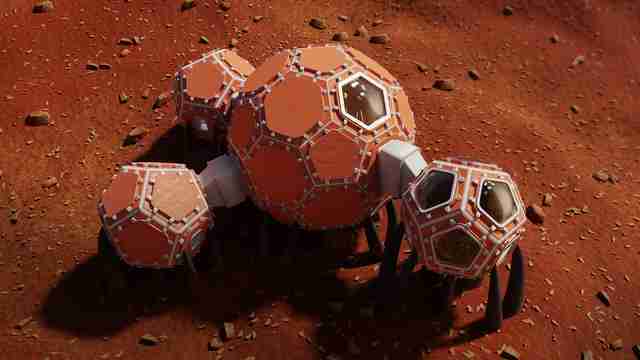 A team from Mars Incubator took third place for its design, which features four interconnected pods of varying sizes. The next round of competition is in May, when the teams will be asked to submit 3D-printed scale models of their proposed design in hopes of winning an $800,000 prize. From there, it's unclear how or when any final designs will be selected, or if there's even a tentative timeline for when they may be deployed. Either way, it's probably best that we figure out how to a person to Mars before we start planning for a whole neighborhood of them.